Chapter 115C - Elementary and Secondary Education. Article 1 - Definitions and Preliminary Provisions. § 115C-1. General and uniform system of schools. § 115C-3. Access to information and public records. § 115C-4. Open meetings law. § 115C-6. Reserved for future codification purposes. § 115C-7. Reserved for future codification purposes. § 115C-8. Reserved for future codification purposes. § 115C-9. Reserved for future codification purposes. Article 2 - State Board of Education. § 115C-10. Appointment of Board. § 115C-11. Organization and internal procedures of Board. § 115C-12. Powers and duties of the Board generally. § 115C-12.1. Training of State Board members. § 115C-12.2. Voluntary shared leave. § 115C-13. Duty to maintain confidentiality of certain records. § 115C-13.5. Prohibition on use of State funds to employ private counsel in litigation. § 115C-14. Repealed by Session Laws 1987, c. 414, s. 11. § 115C-15: Repealed by Session Laws 1997-18, s. 1. § 115C-16. Authorization for school uniform pilot program. § 115C-17: Repealed by Session Laws 2015-65, s. 1.1, effective June 11, 2015. Article 3 - Department of Public Instruction. § 115C-18. Election of Superintendent of Public Instruction. § 115C-19. Chief administrative officer of the State Board of Education. § 115C-20. Office and salary. § 115C-21. Powers and duties generally. § 115C-21.1: Repealed by Session Laws 1997-18, s. 2. § 115C-22: Repealed by Session Laws 1997-18, s. 3. § 115C-23. Reserved for future codification purposes. § 115C-24. Reserved for future codification purposes. § 115C-25. Reserved for future codification purposes. § 115C-26. Reserved for future codification purposes. Article 4 - Office of the Controller. Article 5 - Local Boards of Education. § 115C-36. Designation of board. § 115C-37. Election of board members. § 115C-37.1. Vacancies in offices of county boards elected on partisan basis in certain counties. § 115C-38. Compensation of board members. § 115C-39. Suspension of duties by State Board. § 115C-40. Board a body corporate. § 115C-41. Organization of board. § 115C-42. Liability insurance and immunity. § 115C-43. Defense of board of education members and employees. § 115C-44. Suits and actions. § 115C-45. Judicial functions of board. § 115C-46. Powers of local boards to regulate parking of motor vehicles. § 115C-46.1. Limitation on the use of public funds. § 115C-46.2. Probation officer visits at school; limitations. § 115C-47. Powers and duties generally. § 115C-48. Penalties for certain conduct. § 115C-49: Repealed by Session Laws 1995, c. 501, s. 1. § 115C-50. Training of board members. § 115C-51. Public comment period during regular meetings. § 115C-52. Reserved for future codification purposes. § 115C-53. Reserved for future codification purposes. Article 6 - Advisory Councils. § 115C-54: Repealed by Session Laws 1985 (Regular Session, 1986), c. 975, s. 1. §§ 115C-56 through 115C-59: Repealed by Session Laws 1985 (Regular Session, 1986), c. 975, s. 1. §§ 115C-60 through 115C-64. Reserved for future codification purposes. Article 6A - State Assistance and Intervention in Low Performing School Units. §§ 115C-64.1 through 115C-64.5: Repealed by Session Laws 1995 (Regular Session, 1996), c. 716, s. 4. Article 6B - Dropout Prevention Grants. §§ 115C-64.6 through 115C-64.9: Repealed by Session Laws 2014-120, s. 1, effective September 18, 2014. Article 6C - Education and Workforce Innovation Program. § 115C-64.15. North Carolina Education and Workforce Innovation Commission. § 115C-64.16. The Education and Workforce Innovation Program. § 115C-64.17. The Career and Technical Education Grade Expansion Program. Article 6D - B-3 Interagency Council. § 115C-64.25. Establishment and membership of B-3 Interagency Council. § 115C-64.26. Powers and duties of B-3 Interagency Council. § 115C-64.28. Establish position of Associate Superintendent of Early Education to serve as chief academic officer of early education. Article 7 - Organization of Schools. § 115C-65. State divided into districts. § 115C-66. Administrative units classified. § 115C-66.5. Merger of county school administrative units by the State Board of Education. § 115C-67. Merger of units in same county. § 115C-68. Merger of units in adjoining counties. § 115C-68.1. Merger of units by the board of commissioners. § 115C-68.2. Merger of units by the local boards of education. § 115C-68.3. Validation of plans of consolidation and merger. § 115C-69. Types of districts defined. § 115C-70. Repealed by Session Laws 1985 (Regular Session, 1986), c. 975, s. 24. § 115C-71. Districts formed from portions of contiguous counties. § 115C-72. Consolidation of districts and discontinuance of schools. § 115C-73. Enlarging tax districts and city units by permanently attaching contiguous property. § 115C-74. School system defined. § 115C-75. Recommended school classification. § 115C-75.1: Reserved for future codification purposes. § 115C-75.2: Reserved for future codification purposes. § 115C-75.3: Reserved for future codification purposes. § 115C-75.4: Reserved for future codification purposes. Article 7A - North Carolina Innovative School District and Innovation Zones. § 115C-75.6. North Carolina Innovative School District. § 115C-75.7. Selection of innovative schools. § 115C-75.8. Selection of IS operators. § 115C-75.9. Management of innovative schools. § 115C-75.10. Innovative schools funds. § 115C-75.11. Accountability and governance for innovative schools. § 115C-75.12. Term of supervision for an innovative school. Article 8 - General Education. §§ 115C-81 through 115C-81.4: Repealed by Session Laws 2017-126, ss. 1-4, effective July 20, 2017. § 115C-81.5. Standard course of study. § 115C-81.10. Career and technical education. § 115C-81.15. Conflict resolution and mediation models. § 115C-81.20. Alcohol and drug use prevention education. § 115C-81.30. Reproductive health and safety education provided by local school administrative units. § 115C-81.35. Honors-level courses in healthful living education. § 115C-81.36. Advanced courses in mathematics. § 115C-81.37: Reserved for future codification purposes. § 115C-81.38: Reserved for future codification purposes. § 115C-81.39: Reserved for future codification purposes. § 115C-81.40. North Carolina history and geography. § 115C-81.45. Classes conducted in English; citizenship; and civic literacy. § 115C-81.70. Disability history and awareness. § 115C-81.81. Annual report on cursive writing and multiplication tables. § 115C-81.82: Reserved for future codification purposes. § 115C-81.83: Reserved for future codification purposes. § 115C-81.84: Reserved for future codification purposes. § 115C-81.85. Instruction in American Sign Language. § 115C-82: Repealed by Session Laws 1987 (Reg. Sess., 1988), c. 1086, s. 89(d). § 115C-83: Repealed by Session Laws 1997-18, s. 4. § 115C-83.4. Comprehensive plan for reading achievement. § 115C-83.4A: Recodified as G.S. 115C-174.26 in Part 5 of Article 10A of Chapter 115C, effective June 10, 2014. § 115C-83.5. Developmental screening and kindergarten entry assessment. § 115C-83.6. (For applicability, see Editor's notes) Facilitating early grade reading proficiency. § 115C-83.7. Elimination of social promotion. § 115C-83.8. Successful reading development for retained students. § 115C-83.9. Notification requirements to parents and guardians. § 115C-83.11. Continued support for students demonstrating reading proficiency and appropriate reading development. § 115C-83.12: Reserved for future codification purposes. § 115C-83.13: Reserved for future codification purposes. § 115C-83.14: Reserved for future codification purposes. § 115C-83.15. School achievement, growth, performance scores, and grades. § 115C-83.16. School performance indicators for the purpose of compliance with federal law. § 115C-84: Repealed by Session Laws 1997-443, s. 8.38(a). § 115C-84.1: Repealed by Session Laws 1997-443, s. 1. § 115C-85. Textbook needs are determined by course of study. § 115C-86. State Board of Education to select and adopt textbooks. § 115C-87. Appointment of Textbook Commission. § 115C-88. Commission to evaluate textbooks offered for adoption. § 115C-89. Selection of textbooks by Board. § 115C-90. Adoption of textbooks and contracts with publishers. § 115C-91. Continuance and discontinuance of contracts with publishers. § 115C-92. Procedure for change of textbook. § 115C-93. Advice from and suits by Attorney General. § 115C-94. Publishers to register. § 115C-95. Sale of books at lower price reduces price to State. § 115C-96. Powers and duties of the State Board of Education in regard to textbooks. § 115C-97. State Board of Education authorized to discontinue handling supplementary and library books. § 115C-98. Local boards of education to provide for local operation of the textbook program, the selection and procurement of other instructional materials, and the use of nonadopted textbooks. § 115C-99. Legal custodians of textbooks furnished by State. § 115C-100. Rental fees for textbooks prohibited; damage fees authorized. § 115C-101. Duties and authority of superintendents of local school administrative units. § 115C-102. Right to purchase; disposal of textbooks and materials. §§ 115C-102.1 through 115C-102.4. Reserved for future codification purposes. § 115C-102.5. Commission on School Technology created; membership. § 115C-102.6. Duty to propose a State school technology plan. § 115C-102.6A. Elements of the State school technology plan. § 115C-102.6B. Approval of State school technology plan. § 115C-102.6C: Repealed by Session Laws 2011-145, 7.13(aa), effective July 1, 2011. § 115C-102.6D. Establishment of the State School Technology Fund; allocation and use of funds. § 115C-102.7. Monitoring and evaluation of State and local school system technology plans; reports. § 115C-102.8: Repealed by Session Laws 1997-18, s. 5. § 115C-102.15: Repealed by Session Laws 2009-451, s. 7.15(a), effective July 1, 2009. § 115C-104. Enactment of Compact. § 115C-105: Repealed by Session Laws 1991, c. 369, s. 2.  Article 8A - North Carolina Education Standards and Accountability Commission. §§ 115C-105.1 through 115C-105.10: Repealed by Session Laws 1997-443, s. 8.27(c). §§ 115C-105.11 through 115C-105.19. Reserved for future codification purposes. Article 8B - School-Based Management and Accountability Program. § 115C-105.20. School-Based Management and Accountability Program. § 115C-105.21. Local participation in the Program. § 115C-105.22. Reserved for future codification purposes. § 115C-105.23. Reserved for future codification purposes. § 115C-105.24. Reserved for future codification purposes. § 115C-105.26. Waivers of State laws or rules. § 115C-105.27. Development and approval of school improvement plans. §§ 115C-105.28, 115C-105.29: Repealed by Session Laws 1995 (Regular Session, 1996), c. 716, s. 3. § 115C-105.30. Distribution of staff development funds. § 115C-105.31: Repealed by Session Laws 2011-266, s. 1.18, effective July 1, 2011. § 115C-105.32. Parent involvement programs and conflict resolution programs as part of school improvement plans. § 115C-105.33. Safe and orderly schools. § 115C-105.34. Reserved for future codification purposes. § 115C-105.35. Annual performance goals. § 115C-105.36: Repealed by Session Laws 2015-65, s. 1.2, effective June 11, 2015. § 115C-105.37. Identification of low-performing schools. § 115C-105.37A. Continually low-performing schools; definition; assistance and intervention; reassignment of students. § 115C-105.37B. Reform of continually low-performing schools. § 115C-105.38. Assistance teams; review by State Board. § 115C-105.38A. Teacher competency assurance. § 115C-105.39. Dismissal or removal of personnel; appointment of interim superintendent. § 115C-105.39A. Identification of low-performing local school administrative units. § 115C-105.40. Student academic performance standards. § 115C-105.41. Students who have been placed at risk of academic failure and transition plans. § 115C-105.42. Reserved for future codification purposes. § 115C-105.43. Reserved for future codification purposes. § 115C-105.44. Reserved for future codification purposes. Article 8C - Local Plans For Alternative Schools/Alternative Learning Programs and Maintaining Safe and Orderly Schools. § 115C-105.46. State Board of Education responsibilities. § 115C-105.47: Repealed by Session Laws 2011-145, s. 7.13(z), effective July 1, 2011. § 115C-105.47A. Proposals to establish alternative learning programs or alternative schools. § 115C-105.48. Placement of students in alternative schools/alternative learning programs. § 115C-105.49. School safety exercises. § 115C-105.49A. School Risk and Response Management System. § 115C-105.50: Reserved for future codification purposes. § 115C-105.51. (Effective until July 1, 2019) Anonymous tip lines and monitoring and response applications. § 115C-105.52. School crisis kits. § 115C-105.53. Schematic diagrams and emergency access to school buildings for local law enforcement agencies. § 115C-105.54. Schematic diagrams and emergency response information provided to Division of Emergency Management. § 115C-105.55. Establish Task Force for Safer Schools. § 115C-105.56. Task Force for Safer Schools; powers and duties. § 115C-105.57. Center for Safer Schools. Article 9 - Education of Children With Disabilities. § 115C-106: Repealed by Session Laws 2006-69, s. 1, effective from and after July 1, 2006. § 115C-107: Repealed by Session Laws 2006-69, s. 1, effective from and after July 1, 2006. § 115C-107.1. Free appropriate public education; ages. § 115C-107.2. Duties of State Board of Education. § 115C-107.4. Monitoring and enforcement. § 115C-107.6. Duties of local educational agencies. § 115C-107.7. Discipline, corporal punishment, and homebound instruction. § 115C-108: Repealed by Session Laws 2006-69, s. 1, effective from and after July 1, 2006. § 115C-108.1. State Board lead agency. § 115C-109: Repealed by Session Laws 2006-69, s. 1, effective from and after July 1, 2006. § 115C-109.1. Handbook for parents. § 115C-109.2. Adult children with disabilities; surrogate parents. § 115C-109.3. Access to records; opportunity for parents to participate in meetings. § 115C-109.5. Prior written notice. § 115C-109.6. Impartial due process hearings. § 115C-109.9. Review by review officer; appeals. § 115C-110: Repealed by Session Laws 2006-69, s. 1, effective from and after July 1, 2006. § 115C-110.3: Reserved for future codification purposes. § 115C-110.4: Reserved for future codification purposes. § 115C-110.5: Reserved for future codification purposes. § 115C-111: Repealed by Session Laws 2006-69, s. 1, effective from and after July 1, 2006. § 115C-111.1. Out-of-state students; eligibility for State funds. § 115C-111.2. Contracts with private service providers. § 115C-111.3. Cost of education of children in group homes, foster homes, etc. § 115C-111.5. Allocation of federal funds. § 115C-111.6. Obligation to provide services for preschool children with disabilities. § 115C-112: Repealed by Session Laws 2006-69, s. 1, effective from and after July 1, 2006. § 115C-112.1. Establishment; organization; powers and duties. § 115C-112.2: Reserved for future codification purposes. § 115C-112.3: Reserved for future codification purposes. § 115C-112.4: Reserved for future codification purposes. § 115C-112.7. Verification of eligibility. § 115C-112.8. Authority reporting requirements. § 115C-112.9. Duties of State agencies. §§ 115C-113 through 115C-115: Repealed by Session Laws 2006-69, s. 1, effective July 10, 2006. § 115C-116: Repealed by Session Laws 2006-69, s. 1, effective July 10, 2006. §§ 115C-117 through 115C-120: Repealed by Session Laws 1997-18, s. 16. § 115C-121: Repealed by Session Laws 2006-69, s. 1, effective July 10, 2006. § 115C-122: Repealed by Session Laws 2006-69, s. 1, effective July 10, 2006. §§ 115C-123 through 115C-126.1: Recodified as §§ 143B-216.40 through 143B-216.44 by Session Laws 1997-18, s. 12. §§ 115C-127, 115C-128: Recodified as §§ 143B-164.10 and 143B-164.13. § 115C-129: Reserved for future codification purposes. §§ 115C-130 through 115C-133: Recodified as §§ 143B-164.14 through 143B-164.17. §§ 115C-134 through 115C-138: Repealed by Session Laws 1997-18, s. 14. § 115C-139: Repealed by Session Laws 2006-69, s. 1, effective July 10, 2006. § 115C-140: Repealed by Session Laws 2006-69, s. 1, effective July 10, 2006. § 115C-140.1: Repealed by Session Laws 2006-69, s. 1, effective July 10, 2006. § 115C-141: Repealed by Session Laws 2006-69, s. 1, effective July 10, 2006. § 115C-142: Repealed by Session Laws 2006-69, s. 1, effective July 10, 2006. § 115C-143: Repealed by Session Laws 1981 (Regular Session, 1982), c. 1282, s. 29. § 115C-144: Repealed by Session Laws 1997-18, s. 7. § 115C-145: Repealed by Session Laws 2006-69, s. 1, effective July 10, 2006. § 115C-146: Reserved for future codification purposes. §§ 115C-146.1 through 115C-146.4: Repealed by Session Laws 2006-69, s. 1, effective July 10, 2006. § 115C-147: Reserved for future codification purposes. § 115C-148: Reserved for future codification purposes. Article 9A - Children With Chemical Dependency. § 115C-149. Policy. Chemically dependent children excluded from provisions of Article 9. § 115C-150. State Board to adopt rules. §§ 115C-150.1 through 115C-150.4. Reserved for future codification purposes. Article 9B - Academically or Intellectually Gifted Students. § 115C-150.5. Academically or intellectually gifted students. § 115C-150.6. State Board of Education responsibilities. § 115C-150.8. Review of Disagreements. § 115C-150.9: Reserved for future codification purposes. § 115C-150.10: Reserved for future codification purposes. Article 9C - Schools for Students with Visual and Hearing Impairments. § 115C-150.11. State Board of Education as governing agency. § 115C-150.12. Applicability of Chapter. § 115C-150.14. Tuition and room and board. § 115C-150.15. Reporting to residential schools on deaf and blind children. Article 10 - Career and Technical Education. § 115C-151. Statement of purpose. § 115C-153. Administration of career and technical education. § 115C-154. Duties of the State Board of Education. § 115C-154.1. Approval of local career and technical education plans or applications. § 115C-154.2. Career and technical education equipment standards. § 115C-155. Acceptance of benefits of federal career and technical education acts. § 115C-156. State funds for career and technical education. § 115C-156.1: Repealed by Session Laws 1993, c. 180, s. 3. § 115C-156.2. Industry certifications and credentials program. § 115C-157. Responsibility of local boards of education. § 115C-157.1. Adjunct CTE instructors. § 115C-157.5. Extended year agriculture education program; evaluation of career and technical education agriculture teacher personnel. § 115C-158. Federal funds division. § 115C-159. Statement of purpose. § 115C-161. Duties of the State Board of Education. § 115C-162. Use of proceeds derived from production work. § 115C-163. Acquisition of land for agricultural education instructional programs. § 115C-164. Building trades training. § 115C-165. Advisory committee on production work activities. § 115C-166. Eye protection devices required in certain courses. § 115C-167. Visitors to wear eye safety devices. § 115C-168. "Industrial-quality eye protective devices" defined. §§ 115C-170 through 115C-174. Reserved for future codification purposes. § 115C-172. Business advisory councils established; members; selection; duties. § 115C-174.15. (For applicability, see editor's note) Report student performance on local standardized tests. § 115C-174.16. (For applicability, see editor's note) Report student performance on statewide, standardized tests. § 115C-174.22. (For applicability, see editor's note) Tools for student learning. § 115C-174.23: Reserved for future codification purposes. § 115C-174.24: Reserved for future codification purposes. Article 11 - High School Competency Testing. §§ 115C-175 through 115C-188: Repealed by Session Laws 1985 (Regular Session, 1986), c. 1014, s. 74(a). Article 12 - Statewide Testing Program. §§ 115C-189 through 115C-202: Repealed by Session Laws 1985 (Reg. Sess., 1986), c. 1014, s. 74(a). Article 13 - Community Schools Act. § 115C-203. Title of Article. § 115C-204. Purpose of Article. § 115C-206. State Board of Education; duties; responsibilities. § 115C-207. Authority and responsibility of local boards of education. § 115C-208. Community schools advisory councils; duties; responsibilities; membership. § 115C-209. Community schools coordinators. § 115C-209.1. Nondisclosure of certain volunteer records. Article 13A - State Advisory Council on Indian Education. § 115C-210.1. Membership – How appointed. § 115C-210.2. Term of office. § 115C-210.3. Organization, meetings, and compensation. § 115C-210.4. Duties of the Council. §§ 115C-211 through 115C-214. Reserved for future codification purposes. Article 14 - Driver Education. § 115C-215. Administration of driver education program by the Department of Public Instruction. § 115C-216. Boards of education required to provide courses in operation of motor vehicles. §§ 115C-217 through 115C-221. Reserved for future codification purposes. Article 14A - Charter Schools. § 115C-218. Purpose of charter schools; establishment of North Carolina Charter Schools Advisory Board and North Carolina Office of Charter Schools. § 115C-218.1. Eligible applicants; contents of applications; submission of applications for approval. § 115C-218.2. Opportunity to correct applications; opportunity to address Advisory Board. § 115C-218.3. Fast-track replication of high-quality charter schools. § 115C-218.5. Final approval of applications for charter schools. § 115C-218.6. Review and renewal of charters. § 115C-218.7. Material revisions of charters. § 115C-218.8. Nonmaterial revisions of charters. § 115C-218.10. Charter school exemptions. § 115C-218.15. Charter school operation. § 115C-218.20. Civil liability and insurance requirements. § 115C-218.25. Open meetings and public records. § 115C-218.30. Accountability; reporting requirements to State Board of Education. § 115C-218.35. Charter school facilities. § 115C-218.40. Charter school transportation. § 115C-218.50. Charter school nonsectarian. § 115C-218.55. Nondiscrimination in charter schools. § 115C-218.65. North Carolina School Report Cards. § 115C-218.70. Driving eligibility certificates. § 115C-218.75. General operating requirements. § 115C-218.80. Display of the United States and North Carolina flags and the recitation of the Pledge of Allegiance. § 115C-218.85. Course of study requirements. § 115C-218.94. Identification of low-performing and continually low-performing charter schools. § 115C-218.95. Causes for nonrenewal or termination; disputes. § 115C-218.100. Dissolution of a charter school. § 115C-218.105. State and local funds for a charter school. § 115C-218.110. Notice of the charter school process; review of charter schools. § 115C-218.115. Operation of NC Pre-K programs. Article 15 - North Carolina School of Science and Mathematics. §§ 115C-222 through 115C-229: Repealed by Session Laws 1985, c. 757, s. 206(a). Article 16 - Optional Programs. § 115C-231. Adult education programs; tuition; limitation of enrollment of pupils over 21. § 115C-232. Local financing of summer schools. § 115C-233. Operation of summer schools. §§ 115C-234 through 115C-238. Reserved for future codification purposes. §§ 115C-238.1 through 115C-238.4: Recodified as §§ 115C-105.20 through 115C-105.35. § 115C-238.5: Repealed by Session Laws 1995, c. 450, s. 14. §§ 115C-238.6 through 115C-238.8: Recodified as §§ 115C-105.29 through 115C-105.32. § 115C-238.9. Reserved for future codification purposes. § 115C-238.10. Reserved for future codification purposes. § 115C-238.11. Reserved for future codification purposes. §§ 115C-238.12 through 115C-238.19: Repealed by Session Laws 1995, c. 324, s. 17.2. § 115C-238.20. Reserved for future codification purposes. § 115C-238.21. Reserved for future codification purposes. §§ 115C-238.22 through 115C-238.25: Repealed by Session Laws 1997-18, s. 8. §§ 115C-238.26 through 115C-238.29. Reserved for future codification purposes. §§ 115C-238.29A through 115C-238.29L: Recodified as Article 14A of Chapter 115C, G.S. 115C-218 et seq., pursuant to the authority granted to the Revisor of Statutes in Session Laws 2014-101, s. 7, effective August 6, 2014, and applicable beginning with the 2014-2015 school year. § 115C-238.31. Extended services programs. § 115C-238.32. Needs assessment; community-based collaboration. § 115C-238.33. Plan for effective use of fiscal resources; comprehensive plan to implement extended services programs. §§ 115C-238.34 through 115C-238.39. Reserved for future codification purposes. §§ 115C-238.40 through 115C-238.47: Repealed by Session Laws 1995, c. 450, s. 16. § 115C-238.52. Participation by other education partners. § 115C-238.53. Operation of cooperative innovative high schools. § 115C-238.54. Funds for cooperative innovative high schools. § 115C-238.55. Evaluation of cooperative innovative high schools. § 115C-238.62. Creation of regional school. § 115C-238.63. Regional school boards of directors; appointment; terms of office. § 115C-238.64. Board of directors; meetings; rules of procedure; officers. § 115C-238.65. Board of directors; corporate powers. § 115C-238.66. Board of directors; powers and duties. § 115C-238.67. Student admissions and assignment. § 115C-238.69. Parent Advisory Council; purpose; appointments. § 115C-238.70. State and local funds. § 115C-238.71. Finance and budget. § 115C-238.73. Criminal history record checks. Article 17 - Supporting Services. § 115C-239. Authority of local boards of education. § 115C-240. Authority and duties of State Board of Education. § 115C-241. Assignment of school buses to schools. § 115C-242. Use and operation of school buses. § 115C-242.1. Installation and operation of automated school bus safety camera. § 115C-243. Use of school buses by senior citizen groups. § 115C-244. Assignment of pupils to school buses. § 115C-245. School bus drivers; monitors; safety assistants. § 115C-246. School bus routes. § 115C-247. Purchase of activity buses by local boards. § 115C-248. Inspection of school buses and activity buses; report of defects by drivers; discontinuing use until defects remedied. § 115C-249. Purchase and maintenance of school buses, materials and supplies. § 115C-249.1. Purchase of tires for school buses; repair or refurbishment of tires for school buses. § 115C-250. Authority to expend funds for transportation of children with disabilities. § 115C-252. Aid in lieu of transportation. § 115C-253. Contracts for transportation. § 115C-254. Use of school buses by State defense militia or North Carolina National Guard. § 115C-255. Liability insurance and waiver of immunity as to certain acts of bus drivers. § 115C-256. School bus drivers under Workers' Compensation Act. § 115C-257. Attorney General to pay claims. § 115C-258. Provisions regarding payment. § 115C-259. Claims must be filed within one year. §§ 115C-260, 115C-261: Repealed by Session Laws 1981, c. 576, s. 2. § 115C-262. Liability insurance and tort liability. § 115C-263. Required provision of services. § 115C-264.1. Preference to high-calcium foods and beverages in purchasing contracts. § 115C-264.2. Vending machine sales. § 115C-264.3. Child Nutrition Program standards. § 115C-264.4. Local preference for produce in schools. § 115C-265. Rules and regulations for distribution of library/media personnel funds; employment of personnel. §§ 115C-266 through 115C-270. Reserved for future codification purposes. Article 17C - Professional Educator Preparation and Standards Commission. § 115C-268.1. Professional Educator Preparation and Standards Commission. § 115C-268.5. Powers and duties of the Commission. Article 17D - Educator preparation programs. § 115C-269.5. Educator preparation programs. § 115C-269.10. Educator preparation program approval process. § 115C-269.15. Minimum admissions requirements for educator preparation programs. § 115C-269.20. Content and pedagogy requirements. § 115C-269.25. Clinical partnerships and practice in educator preparation programs. § 115C-269.30. Teacher assistants engaged in internships. § 115C-269.35. Accountability for educator preparation programs. § 115C-269.40. Risk factors for educator preparation programs; risk-assessment model. § 115C-269.50. EPP report cards. § 115C-269.55. Reports of alleged violations regarding educator preparation programs. § 115C-270.5. State Board of Education establishes licensure requirements. § 115C-270.15. Examination requirements for initial professional licenses. § 115C-270.21. Licensure exception for Cherokee language instruction. § 115C-270.25. Out-of-state license applicants. § 115C-270.35. License suspension and revocation. § 115C-271. Selection by local board of education, term of office. § 115C-272. Residence, oath of office, and salary of superintendent. § 115C-273. Salary schedule for superintendents. § 115C-275. Vacancies in office of superintendent. § 115C-276. Duties of superintendent. § 115C-277. Office, equipment, and clerical assistance to be provided by board. § 115C-278. Assistant superintendent and associate superintendent. §§ 115C-279 through 115C-283. Reserved for future codification purposes. Article 19 - Principals and Supervisors. § 115C-284. Method of selection and requirements. § 115C-284.1. School administrator preparation programs. §115C-286. Rules for conduct of principals and supervisors. § 115C-286.1. Evaluations of principals. § 115C-287: Repealed by Session Laws 1993, c. 210, s. 5. § 115C-287.1. Method of employment of principals, assistant principals, supervisors, and directors. § 115C-288. Powers and duties of principal. § 115C-289. Assignment of principal's duties to assistant or acting principal; duties of State-funded assistant principals. § 115C-289.1. Supervisor duty to report; intimidation of school employee. § 115C-290. Reserved for future codification purposes. Article 19A - Standards Board for Public School Administration. §§ 115C-290.1 through 115C-290.9: Repealed by Session Laws 2006-264, s. 56, effective August 27, 2006. § 115C-291: Reserved for future codification purposes. § 115C-292: Reserved for future codification purposes. § 115C-293: Reserved for future codification purposes. § 115C-294: Reserved for future codification purposes. § 115C-295. Minimum age and license prerequisites. § 115C-295.1: Repealed by Session Laws 2011-145, s. 7.32, as added by Session Laws 2011-391, s. 17, effective July 1, 2011 and by Session Laws 2011-266, s. 1.39, effective July 1, 2011. § 115C-295.2: Repealed by Session Laws 2011-145, s. 7.32, as added by Session Laws 2011-391, s. 17, effective July 1, 2011, and by Session Laws 2011-266, s. 1.39, effective July 1, 2011. § 115C-295.3. Repealed by Session Laws 1999-96, s. 6. § 115C-296: Repealed by Session Laws 2017-189, s. 3(a), effective July 27, 2017, and applicable beginning with the 2017-2018 school year. § 115C-296.2. National Board for Professional Teaching Standards Certification. § 115C-296.3: Expired June 30, 2004, by operation of Session Laws 2003-284, s. 7.20(h). § 115C-296.4: Repealed by Session Laws 2011-145, s. 7.31(a), as added by Session Laws 2011-391, s. 17, effective July 1, 2011, and by Session Laws 2011-266, s. 1.37(a), effective July 1, 2011. § 115C-296.5. North Carolina Center for the Advancement of Teaching; powers and duties of trustees; reporting requirement. § 115C-296.6. Composition of board of trustees; terms; officers. § 115C-296.7. North Carolina Teacher Corps. §§ 115C-296.8 through 115C-296.13: Repealed by Session Laws 2017-189, ss. 2(a)-(f), effective July 27, 2017, and applicable beginning with the 2017-2018 school year. § 115C-297: Repealed by Session Laws 1989, c. 385, s. 2. § 115C-298: Repealed by Session Laws 1997-18, s. 9. § 115C-298.5. Adjunct K-12 instructors in core academic subjects. § 115C-299. Hiring of teachers. § 115C-299.5. Duty to monitor the state of the teaching profession. § 115C-300.1. New teacher induction programs. § 115C-301. Allocation of teachers; class size. § 115C-301.1. Duty-free instructional planning time. § 115C-302: Repealed by Session Laws 1997-443, s. 8.38(d). § 115C-302.2: Repealed by Session Laws 2003-358, s. 1, effective January 1, 2004. § 115C-302.3. Salary credit for service in the Armed Forces. § 115C-303. Withholding of salary. § 115C-303.1. Public recognition program for teachers who have taught for 40 years. § 115C-304: Repealed by Session Laws 2013-360, s. 9.7(h), effective July 1, 2014. § 115C-305: Repealed by Session Laws 2001-260, s. 2. § 115C-306: Repealed by Session Laws 1983, c. 770, s. 16. § 115C-307. Duties of teachers. § 115C-308. Rules for teacher's conduct. §§ 115C-309, 115C-310: Repealed by Session Laws 2017-189, s. 2(g) and (h), effective July 27, 2017, and applicable beginning with the 2017-2018 school year. § 115C-311. Reserved for future codification purposes. § 115C-312. Reserved for future codification purposes. § 115C-313. Reserved for future codification purposes. § 115C-314. Reserved for future codification purposes. Article 21 - Other Employees. § 115C-315. Hiring of school personnel. § 115C-316. Salary and vacation. § 115C-316.1. Duties of school counselors. § 115C-317. Penalty for making false reports or records. § 115C-317.1. School social workers and transporting students. § 115C-318. Liability insurance for nonteaching public school personnel. Article 21A - Privacy of Employee Personnel Records. § 115C-319. Personnel files not subject to inspection. § 115C-320. Certain records open to inspection.